"Leading You In The Right Direction"
Mariam Moeinzadeh specializes in luxury residential condominium and investment properties. She has extensive experience in design and development of new construction for residential, student housing and rental properties. She has been managing and marketing real estate rental investments for over 25 years. Mariam has a Master Degree from the University of Illinois in Urbana-Champaign in ‘Industrial and Enterprise Systems Engineering'. She has worked on projects for systems optimization and analytical analysis with the aim of maximizing outcomes. These are also very useful tools in her real estate activities and endeavors. Database design is another of Mariam's unique abilities giving her an edge in analyzing real estate markets and trends. With this unique knowledge she successfully forecasts and maximizes returns on campus property investments, as well as luxury residential homes. Mariam is highly organized, efficient, motivated and results oriented. She is happy to share her experience and knowledge of the real estate market and its trends with you by providing personalized, professional, honest care and service. Sellers and buyers receive detailed data and the most comprehensive market analysis to help them understand the market and assist them in making an informed decision. Mariam and her husband have lived in Illinois for over 30 years and their 3 sons are active professionals and entrepreneurs in Chicago and New York. 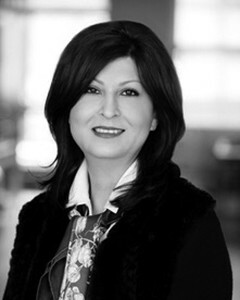 Mariam's hobbies and interests are music, Tai Chi, Yoga, contemporary art, interior and floor plan design. - Maximum Online Exposures For Every Listing! Contact me for success in Chicago Real Estate! "Mariam's professional service extended to my family since start of sourcing and short listing , selection, purchase contract, finish selections, walk-through inspection and finally the closing process of our first home in USA was truly amazing and deeply appreciated. She is the best!"